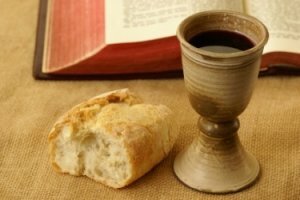 Join in prayer, and communion, agreeing for a successful legal challenge to Roe v. Wade. Download our free Intercessory Intel Report on this topic HERE. Not long ago, an identical law was passed in Texas, but it was subsequently overruled by the Supreme Court in 2016. This time, we have new judges on the bench. Their decision – possibly within the next 24 hours – will not only have an immediate impact on the abortion industry in Louisiana, but it will also give the other states an indication of whether this new Court is ready for Roe V. Wade to begin to be challenged. Regarding Abortion in our land: I degree the word of the Lord and the influence of the King over the Supreme Court Justices, in the name of Jesus. I pray that the new law would go into effect in Louisiana, and that the like law would be reinstated in Texas. I pray that all intercessors that have labored, and all pro life activists would be given more boldness and long suffering to continue to fight at this gate of Hell. I pray a hedge of protection around our Judges and those ministering in Jesus name, Amen, and amen. 14-02.1-04. Limitations on the performance of abortions – Penalty.